Why did you join your program board? After being on Student Council in High School, I was interested in doing more event planning when I attended college. After going through New Student Orientation, I was informed of a fun and energetic organization on Furman’s campus called Furman University Student Activities Board, or FUSAB. I quickly learned about events that the organization was having during my first semester of college and the organization’s track record with pleasing the student body. 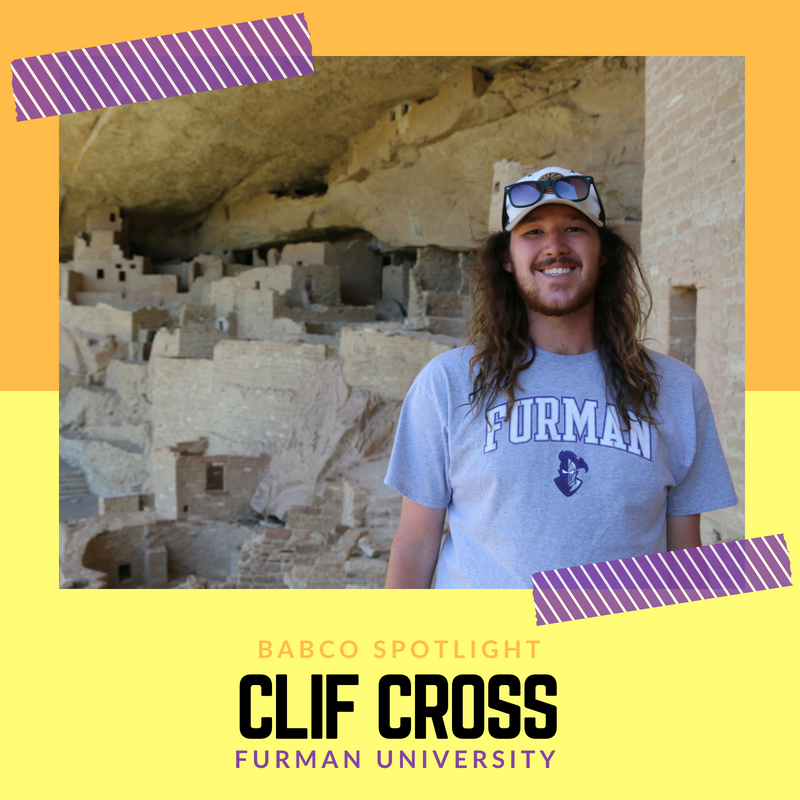 I joined FUSAB because it was the best opportunity for me to join an organization of students that love to have an amazing time and plan great events. What has been your greatest takeaway from student involvement so far? I believe that my greatest takeaway from being involved in FUSAB, and other organizations, is the experience that comes with the fun. Planning an event is not easy and I have encountered my problems, but the course of my involvement in the organization I have been able to work on my communication, critical thinking, and creativity skills. While you are in college you learn a lot of stuff, but I believe that my active role in this organization has taught me the professional skills that are not taught in the classroom. Over the past few semesters, FUSAB has tried to create events of all kinds for the enjoyment of our student body. I am most looking forward to some of the new and creative events that FUSAB members have crafted for this coming fall. What is your advice for new student programmers? Since my Freshmen year at Furman, I have been able to work and be friends with some very smart and creative people. During those wonderful times, they have left me with two great pieces of advice. They have taught me to “never present a problem without a solution” and remember that “you do not need a title/position to be a great leader”. Which performer or comedian do you expect to be popular on college campuses this Fall? Why? I believe the most recent artist to drop new albums will be the most popular and wanted smong the students. While they will touring all over the United States and possibly abroad, I believe that artist like Drake, Cardi B, Post Malone, Childish Gambino, and Future will be the music that students are listening to. As in regards to predictions, I believe that Quinn XCII, Peach Pit, NoMBe, AJR, and STS9 will be some musical artists that are on the rise.